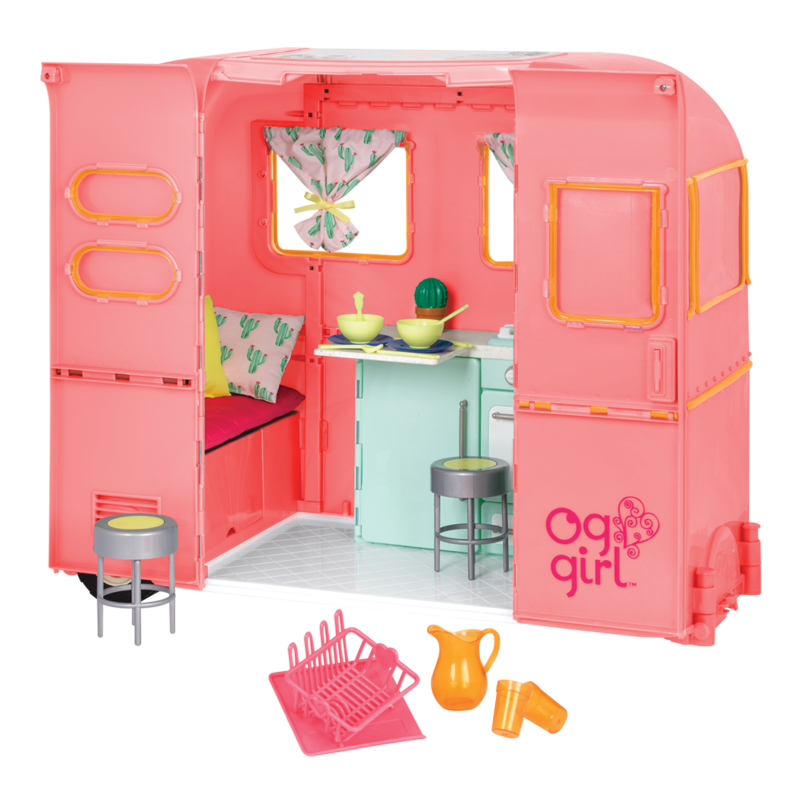 https://s3-ca-central-1.amazonaws.com/media.ogdolls/20181126232336/BD37248-Sitting-Pretty-Coral-and-Pink-all-components.png Category: House and Home. Hmm…do I feel like curly or straight hair today? Every day is a great day to explore a new look! 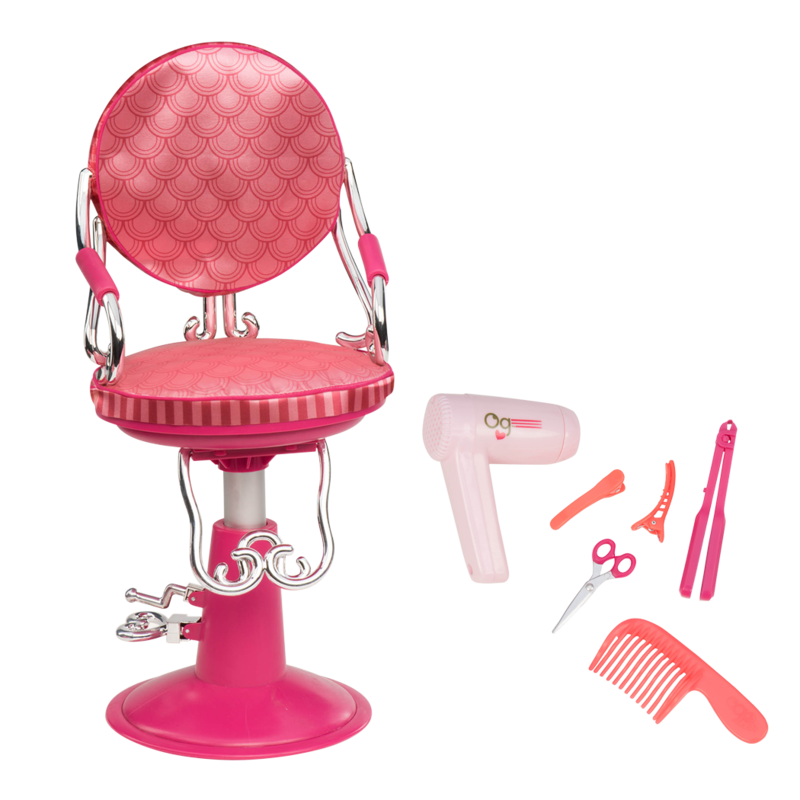 Give your dolls new styles for miles with the Our Generation Sitting Pretty Salon Chair – Coral and Pink, a 7-piece salon chair accessory set for 18-inch dolls! 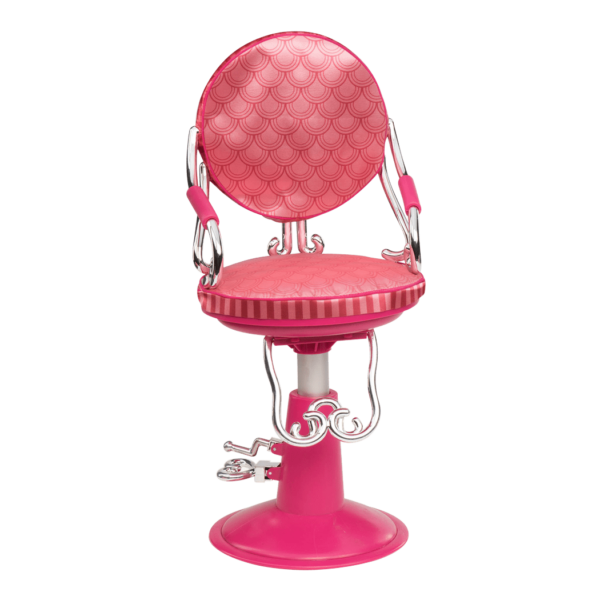 This salon chair for dolls is decorated in a pretty coral scale pattern fabric and is the perfect addition to any doll beauty parlor. 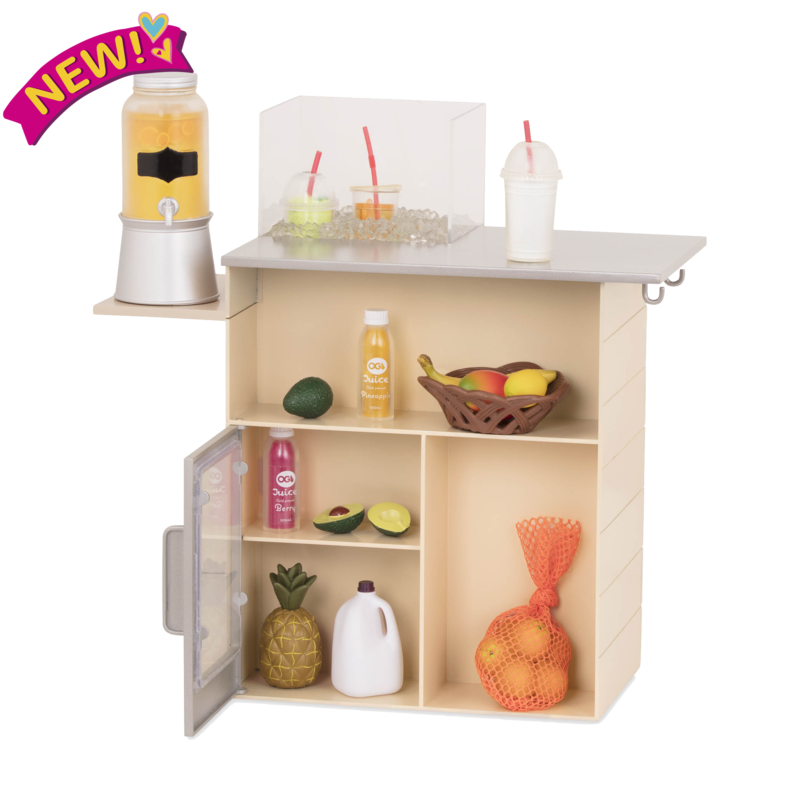 Use the foot pedals to raise and lower the chair so that it’s at just the right height for you! 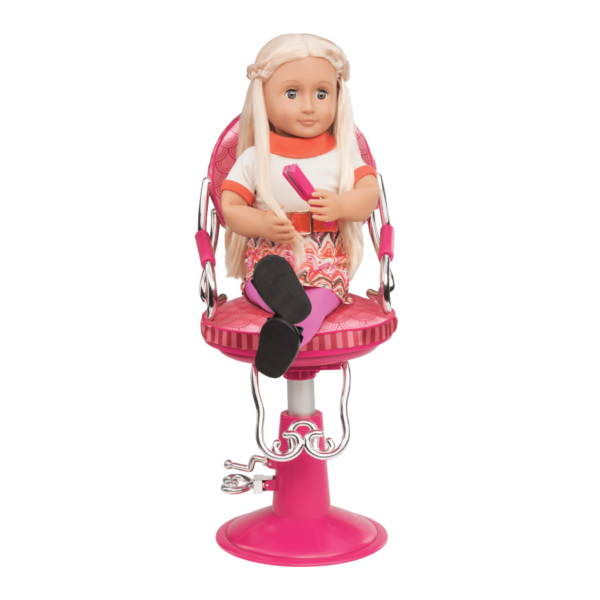 Seat your dolls in the chair and secure them with the safety strap so they won’t fall out – it’s suitable for both posable and non-posable dolls. 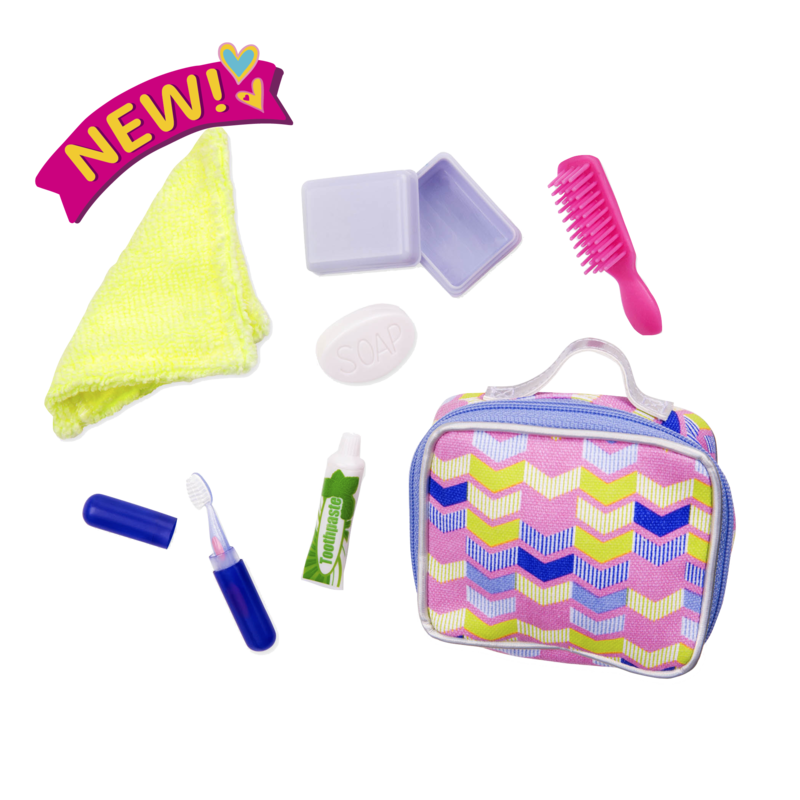 The Sitting Pretty Chair comes with lots of fun, pretend salon accessories like a flat-iron for straightening hair, a blow dryer, scissors, hair clips, and a spray bottle. (Please remember to keep your dolls away from real heat and water to avoid damage.) With a little imagination, there’s no limit to how many cool hair-dos you can design! 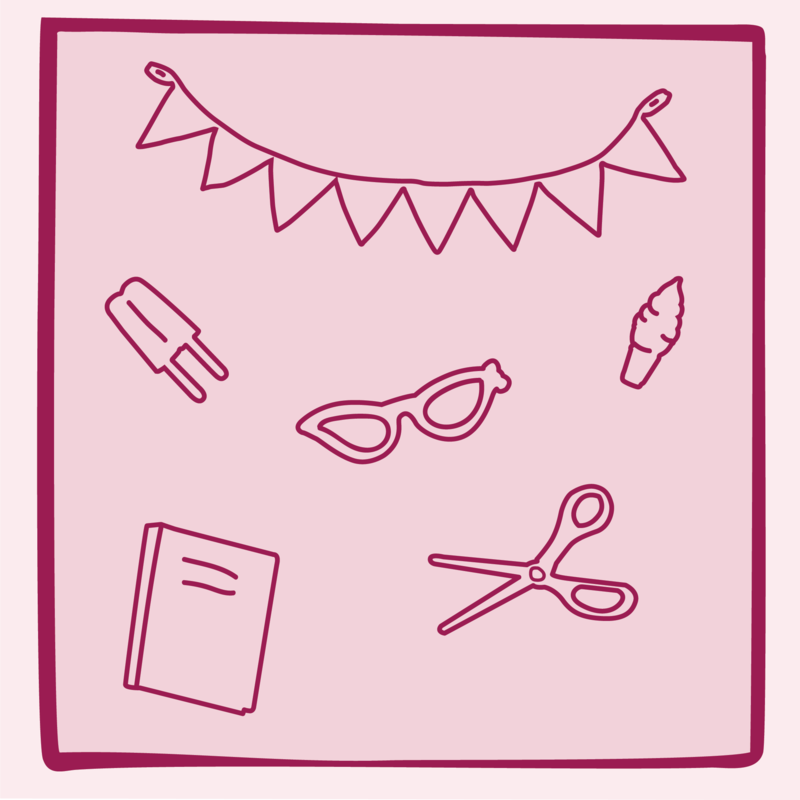 Check out the entire range of Our Generation hair and beauty products for dolls for even more fun! Have you met Pansy? Pansy is a beautiful 18-inch hairplay doll who has ultra-long brunette hair with extendable braids that are perfect for styling! She is just one of the dolls in the Hair Play Collection who are waiting for you to give them a creative new look! 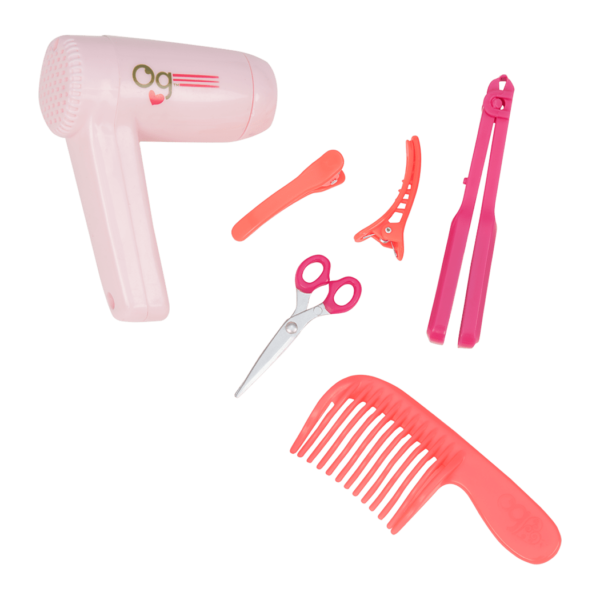 For the best way to take care of your Our Generation doll’s hair, try the OG Hair Brush, a round-tipped wire bristle brush that works really well at keeping your doll’s hair tangle free!